For expatriate workers and their employers in Singapore, understanding the process to obtain a valid employment permit is vital. 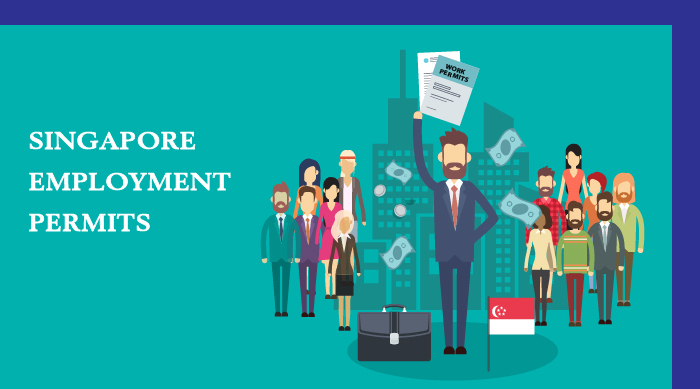 The Singapore government’s Ministry of Manpower (MoM) issues a wide range of work passes and permits to expatriates planning to work in Singapore. Each of these employment permits is designed for a specific purpose and differs across various categories of employees, based on their professional skills and monthly salaries. The Employment Pass (EP) is issued to expatriates employed as foreign managers, executives, and skilled professionals in Singapore, for an initial period of 2 years; thereafter, the pass can be renewed for up to three years at a time. The EP is generally issued to individuals with a job offer that includes a minimum monthly salary of SG$3,600. More experienced candidates are required to be offered a higher salary to qualify for the same. Besides, candidates offered a monthly salary of SG$6,000 or more are also eligible to apply for a dependent’s pass for their legally married spouse and unmarried children under 21 years of age. To bring in their dependent parents on Long Term Visit Pass (LTVP), the minimum monthly salary must be SG$12,000. However, separate applications are required to be furnished for each family member. Further, it is important for applicants to note that an EP can be applied for only by the employer or an employment agent. Therefore, it is mandatory for skilled professionals to first obtain a job offer in the country before applying for an EP. In November 2017, the MoM introduced new questions to the EP online application seeking greater details on the foreign candidates’ application, company’s hiring process, and up to three reasons for not hiring a local applicant. 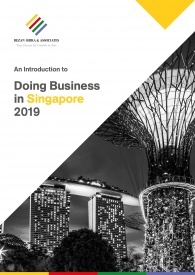 The changes have been introduced to protect the local workforce, and bring the Singapore labor market in line with international best practices. Accordingly, the companies applying for EP will now need to revamp their hiring practices, track foreign candidate’s progress through each stage of the recruitment process and carefully document the immigration status of the job applicant. Usually the processing time for EP applications is up to five weeks, and, if submitted online, the application may be processed within three weeks. However, the recent amendments to the application form may delay EP applications that are currently being prepared and have not yet been filed. The S Pass is similar to EP except that it is designed for mid-level skilled employees with a job offer that includes a minimum monthly salary of SG$2,300 or more. As with the EP, S passes are valid for up to two years and can be renewed for up to three years at a time. Also, applicants with a job offer of a monthly salary of SG$6,000 or more may ask their employer to apply for a dependent’s pass on their family’s behalf. The processing time for S pass is generally 3 weeks. Details of the applicant’s academic certificates. Applicants from India and China are required to furnish additional documents. Indian applicants – transcripts and marksheets. Chinese applicants – certificate of graduation and verification proof in English from sources recommended by the MoM. Further, documents in languages other than English must be submitted along with a translated copy of each. Also, it is important to note that MoM may ask for more documents to be submitted at the time of processing applications. The Personalized Employment Pass (PEP) is designed for high-earning foreign individuals who either already have an EP or are oversees foreign professionals. The minimum salary requirement for PEP is SG$12,000 per month for existing EP holders, and SG$18,000 per month for overseas foreign professionals. Candidates can apply for a PEP themselves. The application takes around eight weeks to process. One key advantage for PEP holders is that the PEP allows them a greater job flexibility in Singapore; PEP holders can switch jobs without re-applying for another employment permit, and may continue to stay in the country for up to six months before securing the next job. However, PEP can only be issued once for a period of three years. Thereafter, they need to either apply for an EP or S Pass to continue their employment in Singapore. 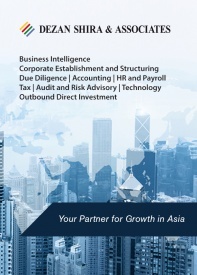 EntrePass is for foreign business professionals and entrepreneurs who wish to start their own business in Singapore. The pass is now valid for two years and candidates can apply for it themselves. Be an incubatee at a Singapore government-supported incubator. However, according to the MoM, businesses such as coffee shops, hawker centres, food courts, bars, night clubs, karaoke lounges, massage parlours, and employment agencies are not eligible under the EntrePass scheme. Applicants may note that the previously established eligibility requirement of a minimum SG$50,000 paid-up capital in a Singapore based company has been abolished. The initiative aims to enhance the start-up environment in Singapore by making the EntrePass available to a broader pool of entrepreneurs. A business plan in English. Additional documents may be required at the time of application process. Semi-skilled foreign workers applying for jobs in construction, manufacturing, or the services sector in Singapore are required to apply for a Singapore Work Permit (WP). There are three kinds of WPs issued by the government, depending on the sector of the applicant’s job. These are: WP for foreign domestic workers; WP for confinement nanny; and WP for performing artists. Only workers from approved countries are eligible for work permits provided the employer pays a levy and the security bond, meet the quota criterion, and provide the worker with a healthcare insurance. 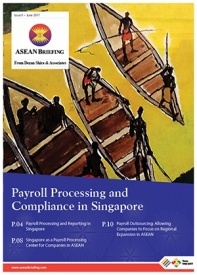 The WP is usually valid for up to two years, and is subject to foreign workers’ contract with the associated employer. Additionally, employees entering Singapore on a WP visa are not permitted to apply for dependent’s pass for family. WP can only be applied for by the employer on the worker’s behalf. The processing time for a WP is one to seven working days. A TEP is issued to foreigners engaged in practical training for jobs of a professional, managerial, executive, or specialist nature in Singapore. The candidates applying for TEP must earn at least SG$3,000 a month. TEP is valid for a maximum period of three months, and is not renewable. TWP is for eligible unskilled or semi-skilled foreign trainees or students on practical training in Singapore for up to 6 months. A foreign student on a TWP is subject to levy and only 5 percent of the employer’s total workforce, or 15 trainees can be issued TWP. This 5 percent quota is in addition to the company’s quota for foreign workers. This pass allows foreigners to work in Singapore on a specific project up two months. It is a one-time, and non-renewable permit. Editor’s Note: The article was first published on August 8, 2017 and was updated on March 22, 2019, and prior to that on July 27, 2018 and October 26, 2018 as per latest developments.